Sampson Lewkowicz found it all a little odd. 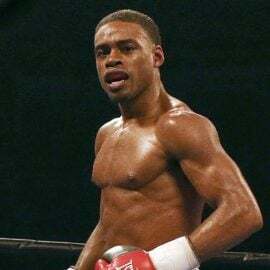 He was in Top Rank’s Las Vegas office chatting with Bob Arum about his fighter Juan Jose Velasco’s upcoming ESPN fight against Regis Prograis. It was around 5 p.m. on Thursday, and Lewkowicz says he didn’t notice matchmakers Bruce Trampler or Brad Goodman in the office. Everything seemed a little off to him. Arum offered a seven-figure fee to co-promote Lewkowicz’ budding star, WBC super middleweight titleholder David Benavidez, and the 67-year-old native of Uruguay declined. The next day, Lewkowicz received a call from Billy Keane, who said he was now managing Benavidez (who is also advised by Al Haymon). And oh, by the way, Benavidez signed a deal with Top Rank. Lewkowicz wasn’t quite sure what he was hearing. After all, he’d just signed Benavidez, 21, to a promotional contract extension in November, and he told THE RING that it’s valid until at least 2021. He was blindsided; beside himself. 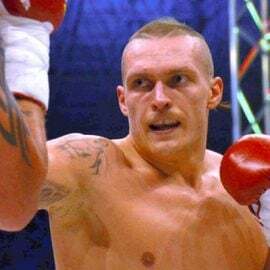 Long regarded as one of the top talent scouts in the sport (he discovered Manny Pacquiao and Sergio Martinez), Lewkowicz was now trying his hand as a promoter. 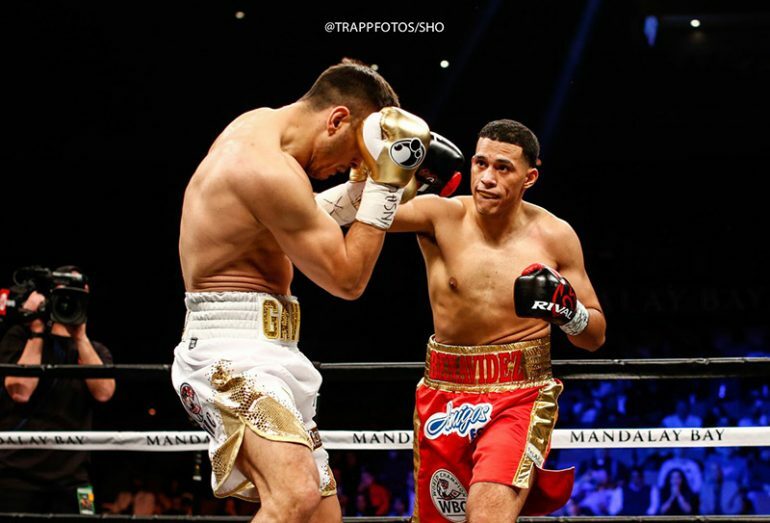 Benavidez was slated to appear on Showtime against Matt Korobov on July 28 in Los Angeles, but that’s all up in the air. 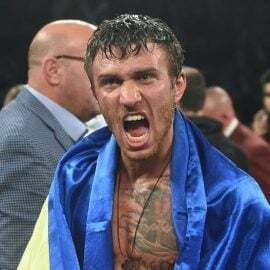 Lewkowicz expressed his displeasure to Arum during a phone call Friday, and on Monday, Lewkowicz’s attorney Leon Margules sent Top Rank a cease and desist letter. The legal battle is on. “I told him ‘You’re 85 (actually 86), you want me to be your partner for five years? Where will you be when you’re 90? You’ll be in business? Or a nursing home and retired? Can you sleep tonight knowing you’re taking away from a good man? When you leave, I hope you leave in 120 years, but you don’t take the money. 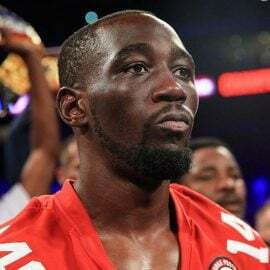 You’re not a needy man, you have already made it in boxing. Shame on you,'” Lewkowicz recalled. Arum’s famous axiom once again used against him. Lewkowicz believes Arum told Benavidez that there was a deal struck to co-promote him, and that the WBC beltholder was asked to sign a contract stipulating so in the Top Rank office. There’s no disputing that Benavidez did sign a contract with Top Rank. The question, which will be determined in court, is whether or not Benavidez was legally able to sign a deal with a different promoter. Arum is being represented by David Marroso and Daniel Petrocelli from the high-powered Los Angeles-based law firm O’Melveny & Myers. Marroso declined comment, while Margules didn’t immediately return a phone call. 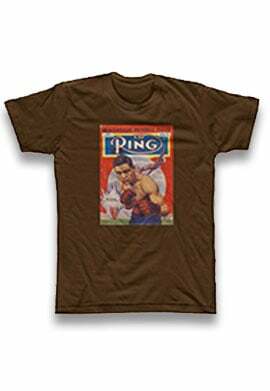 “I’m not being underhanded, we did what we did,” Arum told THE RING. “We’ll see how it comes out. We believe that we have the right to sign Benavidez. There have been sufficient violations of Sampson’s contract that enable us to do it. A 168-pound title unification between Gilberto Ramirez and Benavidez would certainly be a major event. Ramirez, THE RING’s No. 2-rated super middleweight, hails from Mexico and Benavidez, the magazine’s No. 4-rated 168 pounder, is Mexican-American from Phoenix. Benavidez (20-0, 17 knockouts) is quickly rising through the sport with his exciting blend of speed, power and athleticism. 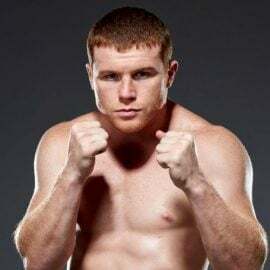 He became the youngest super middleweight titleholder of all time with a decision victory over Ronald Gavril in a fight-of-the-year contender in September, and then more easily won in the rematch five months later. He’s been competing on Showtime undercards, but Arum has plans to build Benavidez into a star as a headliner on ESPN. When he fights next is a mystery now that Benavidez finds himself embroiled in a legal tug-of-war. Top Rank’s position is that Benavidez was free to sign with whatever promoter he wants, and this his contract with Sampson Boxing wasn’t enforceable. In the past, fighters have contended that they had no legal and/or managerial representation when the contract was signed, and that’s often led to a breach of contract in court. It’s unknown if that’s Benavidez’s claim here. Promotional contracts are often in breach when the fighter doesn’t receive the requisite amount of bouts or purse money set out in the deal. That’s unlikely to be the case here considering Benavidez competed in February and was set to make $500,000 for his fight against Korobov in July, with another $1 million coming for another fight in December. “This battle is like GGG vs. Vanes. 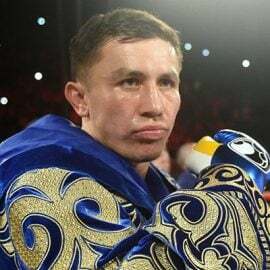 I’m on the side of GGG,” Lewkowicz said, referring to Golovkin’s second-round knockout of Vanes Martirosyan on May 5. “He cannot beat the law, he cannot make his own law. “(Benavidez) was in my house and we barbecue and he took barbecue to go. He told me he never leave me and a week later he changed his mind? Something’s not right. He has a brother (Jose Benavidez Jr., signed with Top Rank), who never made money, even when he was champion. “Arum had the chance to sign David, he said ‘no, I don’t want that fat boy.’ And now that fat boy is a champion, and now he wants him. I can guarantee you that I do have a contract and I complied on the contract. Does Benavidez want Lewkowicz in his corner, though? More importantly, is he legally bound to Sampson Boxing? Benavidez will be sitting on the sideline rather than defending his title before clarity is found.